Al-Zulfiqar was a left-wing terrorist organization based in Afghanistan and operating in Pakistan. It was formed in 1979 by Murtaza Bhutto and Shahnawaz Bhutto after their father, then-Prime Minister of Pakistan Zulfikar Ali Bhutto, was deposed in a military coup and executed. Al-Zulfiqar was formed to avenge Bhutto's killing by means of armed struggle against the military regime of General Zia-ul-Haq. 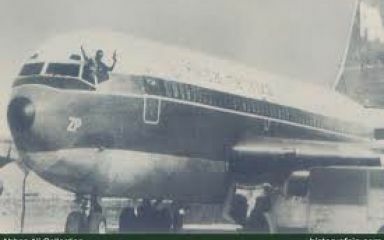 Zia had deposed the Bhutto regime after mass protests across Pakistan that were related to the dissatisfaction of the masses with the rule of Bhutto (mismanagement of East Pakistan, alleged links of Bhutto to political murders, corruption, economic stagnation as a result of nationalization, deteriortating education system, etc.) in a Military coup in July 1977.
al Zulfikar, also known as al Zulfiqar is an inactive group formed c. 1977.